Free Grilled Cheese at Cheeseboy on Friday, April 25, 2014! Save the Date! 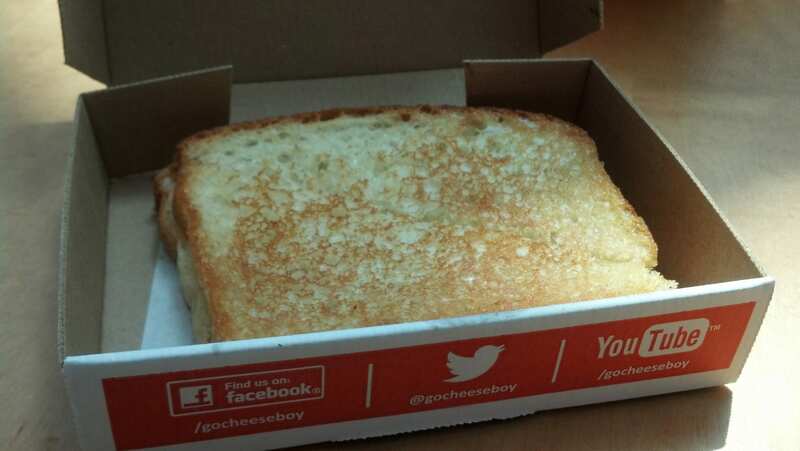 Cheeseboy is giving away Free Classic Grilled Cheeses on Friday, April 25, 2014 from 11am to 6pm! No purchase or coupon is needed to get a Free Cheeseboy Grilled Cheese! I did this awesome offer last year for lunch and it was pretty easy to get (and delicious to eat.) I simply walked up and asked for the free grilled cheese offer, and they handed me a rewards card and said if I signed up online I would receive another grilled cheese in the future. I got my classic grilled cheese (as pictured above) a few short minutes later! Will you be getting a free grilled cheese sandwich this year? To find your nearest location, please head here and please head here if you would like more information!